CUSTOM MADE TO FIT JUST YOUR SIZE! 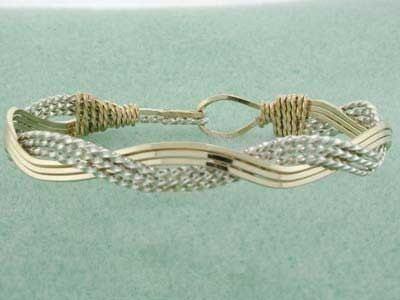 Fine handcrafted jewelry made from Jewelers quality 12 karat gold and Solid Sterling Silver Wire. 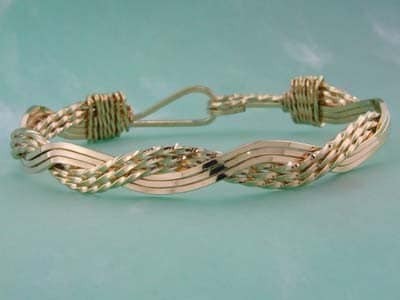 We create this unique one of a kind Braided Bracelet especially for YOU! These unusual bracelets are an offspring of our basic six band bracelet. 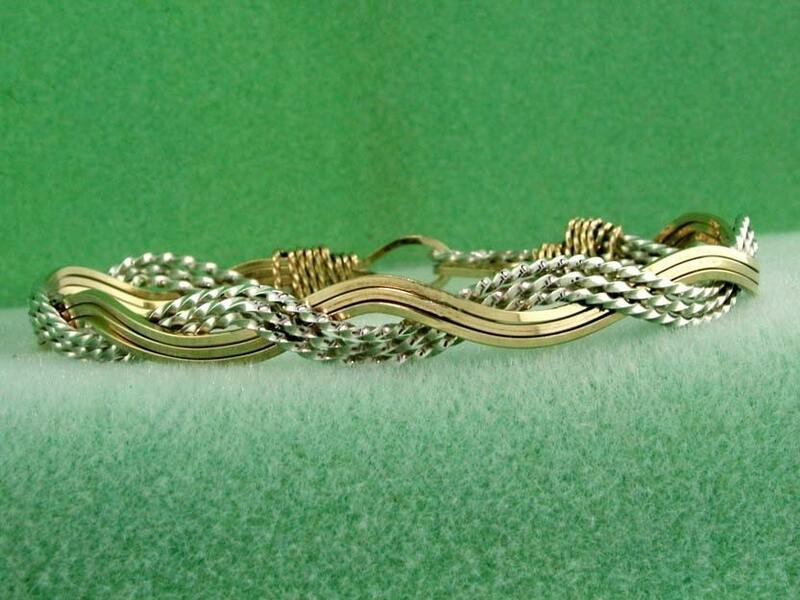 Three flat and three twist are beautifully crafted together to make a high quality and elegant bracelet. Pictures really don't do our bracelets any justice. You have to see these to believe the quality and workmanship. Great for Birthdays, Anniversaries, Valentine's Day, Mother's Day, Grandparents Day and of course Christmas!